Searching the world for vintage films. If you are an existing native subscriber to our iOS app, please make sure you have the latest version of our app (click here for instructions on manually updating). 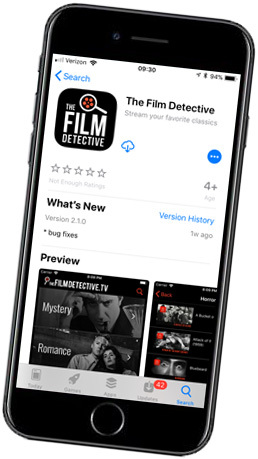 If you are not already a paying subscriber to our iOS app, and would like to watch our library ad free, you may subscribe here for our universal subscription. 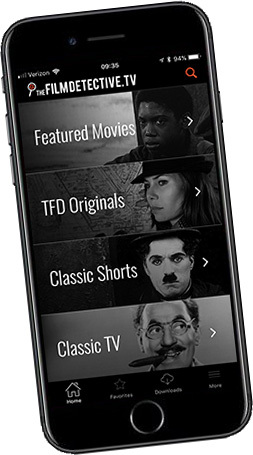 This allows you to watch our content, ad free, across all of our streaming platforms, including your iPad and iPhone devices. Once you create an account online, simply use those credentials to signin to our app on your iOS device. Enjoy the new experience watching Vintage Film Reborn! We’ve recently updated all of our apps to support an universal subscription. This subscription allows customers to watch our library ad free across all of our streaming apps: iOS, Roku, Amazon Fire TV, Apple TV, and now web. The great news is, that if you were a previous iOS subscriber, you automatically have access to our new universal subscription! 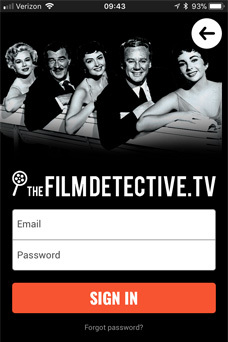 Simply use your credentials that you created online here to login to any of our streaming apps. If you would like a step-by-step instructional on how to purchase and download an app from the iOS store, please click the button below.